Are you Prepared to Take on the Dealer? Take this short quiz and if you answer “NO” to more than two questions, you need to have a professional car buying service like ProAutoBuying negotiate all parts of the deal for you. 1.I know the logical steps in preparing to buy a new car (there are at least 5). 2.I know what the term “Holdback” means? 3.I have to tell the dealer what I can afford to pay each month so that they can figure out what the financing should be and what car I can afford. 4.I know how to determine whether I should take the special financing rate or the cash back that is offered on the car I’m buying. 5.I know what fees will be charged to me on the vehicle I purchase from the dealer and what they are all for. 6. Putting as much money down on a vehicle as I can afford is a good way to lower my monthly payments. 7.The invoice price is the cost of the vehicle that the dealer paid. 8.The dealer will tell me what the value for my trade-in is and then subtract that from the price of the new car as credit. 9.Leasing is a good way to drive a new car every few years if I can’t afford to buy. 10.I know exactly what to say and what NOT to say to the car salesperson. 1. I know the logical steps to buying a new car (there are at least 5). a.Determine Your Budget – Consider your current and future expenses, income, and emergency savings. b.Shop and Negotiate Financing – Most of the time you’ll be able to get better rates on your own than you will get at the dealership. c.Negotiate the Value of Your Trade In – If you will be trading in, research the value and negotiate it with more than one dealer. The trade-In value should be part of your determination on where to buy your new car. d.Research and Negotiate the Price of the New Car – This is an easy one, but too many buyers don’t invest the time and energy and end up paying hundreds or thousands too much. e.Go With the Best Overall Deal – It’s more than just the price you’d pay. Trade-In value, financing, service, warranties, extra’s should also be factored in to determine the best overall value. If you don’t, you should. For every new car sold, the dealer “holds back” money to give to the dealer as an incentive for selling the car. This is typically 2 to 3% of the sticker price which is a substantial amount of money. That money should be part of your negotiation when the dealer tells you they aren’t making any money. Never tell a car dealer what your monthly budget or any budget is! This is one of the biggest mistakes that car buyers make. You can and should determine your monthly budget for a car payment, but do it on your own. Tell the car dealer that you want to just talk about the cost of the car. They don’t need to know anything else. 4.I know how to determine whether I should take the special finance rate or the cash back that is offered on the car I’m buying. It’s easy to figure out if you know how. There are special calculators that you can find online that will help you make the decision based on the rate and the cash back amount. Just search for something like “cash back or finance calculator” or “car incentive calculator”. Even if they tell you what those fees will be, how do you know that they’re legitimate? We know what’s real and what’s extra profit for the dealer and we successfully negotiate away these phantom fees all the time. 6.Putting as much money down on a vehicle as I can afford is a good way to lower my monthly payments. Sure it will lower your monthly payments, but couldn’t you use the $3, 4, or 5 thousand dollars you’ll be giving the bank? This is called “opportunity cost” and instead of paying for that 20% or so of the car, why not put as little down or nothing down and spread the payment over 3, 4, or 5 years that you’ll make the monthly payments on. The same strategy applies to leasing. It’s not and in fact, even the cost numbers on the invoice are becoming inflated. It may be good data points of reference when trying to negotiate the deal, but unless you work with a professional car buying agent who can determine actual cost of the car, don’t think it’s the invoice cost. Of course! The dealer will be glad to tell you the value of your trade-in. That’s because they’ll make literally hundreds if of dollars or more of pure profit from it. You need to negotiate the value “up” based on your research. Make sure you speak with more than just one dealer and if necessary, bring the car to all of them to give you an estimate. It absolutely is, BUT leasing is not really much different than renting. At the end of the lease, you don’t own anything and you start from square one again. If you plan to keep the car for longer than 3 years, you’re usually better off buying. This is extremely important and it’s the reason we’re in business for you. We’ve negotiated a huge number of car deals over the years and we know EXACTLY what to say and how to say it. It would take months for the average car buyer to be fully prepared to deal effectively with a professional car dealer. I trust that you’ll find these tips to be helpful when you go to buy a new car. It’s a detailed and time consuming process done well so make sure you use these tips and be as prepared as you can be. 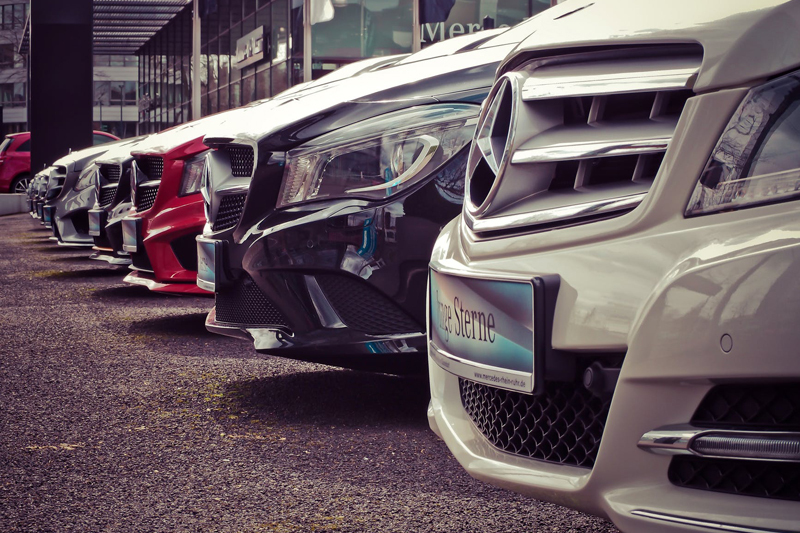 If you’d like to learn more about our professional car buying services, please go to our website at ProAutoBuying and send us an email if you have any questions.